Nestled between the Betar Nala to the west and Poonch river to the south, Poonch is a historical town along the Line of Control in Jammu and Kashmir. It’s a place that occupies an important place in our military history and also one that has produced some legendary characters, including two unforgettable members of the Indian Army, who were in their own way the Rajas of Poonch. Our logistics base for 4 Sikh in Poonch was near the old palace of its former King that was designed like a European castle. Our Officers' Mess was called Joginder Mahal and was located in the house of a former jagirdar. Outside Joginder Mahal, under a Chinar tree, were the quarters of Havaldar Raja Singh, the unit mascot of 4 Sikh - a six-foot tall (when standing), 250 kg Himalayan black bear! Amid relative tranquility, little rebellions are continuing in India’s northeastern region. Headed by recalcitrant rebel leaders, some of whom have no inhibitions in aligning their ambitions with that of the anti-India policies of neighbouring countries, these movements have been responsible for the occasional acts of violence and a more persisting problem of disruption and instability. Directionless and protracted negotiations between the government and the pro-talk insurgencies have not helped. Although insurgency-related fatalities have dipped, for durable peace to return, New Delhi needs to do more. Nirav Modi, at the centre of the ₹11,500 crore banking fraud, has said the Punjab National Bank’s overzealousness has shut the doors on his ability to clear the dues, which he claimed were much lower than the amount stated by the bank. In a letter to the PNB management, a copy of which PTI has seen, Mr. Modi has pegged the amount that his companies owe the bank at under ₹5,000 crore. 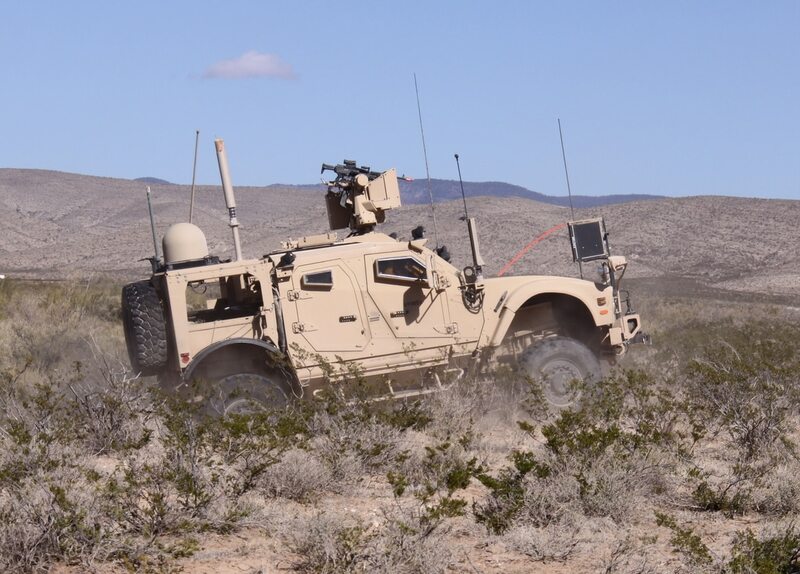 “The erroneously cited liability resulted in a media frenzy which led to immediate search and seizure of operations, and which in turn resulted in Firestar International and Firestar Diamond International effectively ceasing to be going-concerns. This jeopardised our ability to discharge the dues of the group to the banks,” said Mr. Modi, who left the country along with his family in the first week of January. 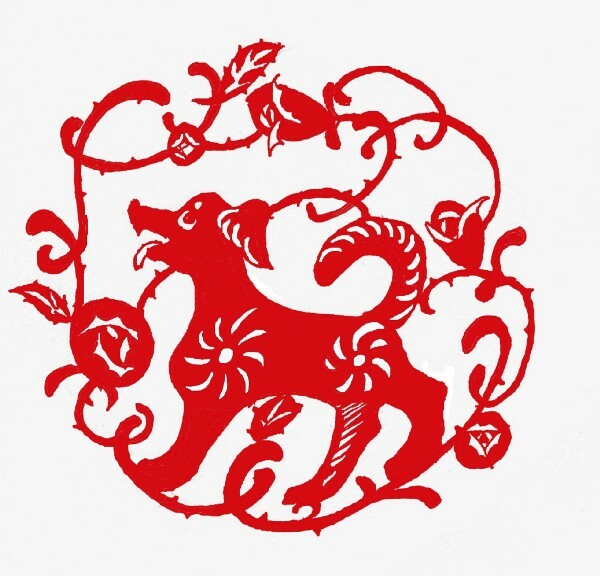 Inspections and resolutions:It’s the holiday season in China with Friday being the first day of the new Year of the Dog. Ahead of the the Spring Festival celebration, President Xi Jinping carried out a series of inspection visits. These essentially offer an opportunity to interact with people and indicate areas of priority. Xi visited a military base in Sichuan Provinceinteracting with servicemen and women. While at the base, he also stepped out to look at the launch site from where the BeiDou-3 satellites were to be sent into orbit. He talked about military modernisation and also chatted via video conference with soldiers stationed at an island in the Paracels. 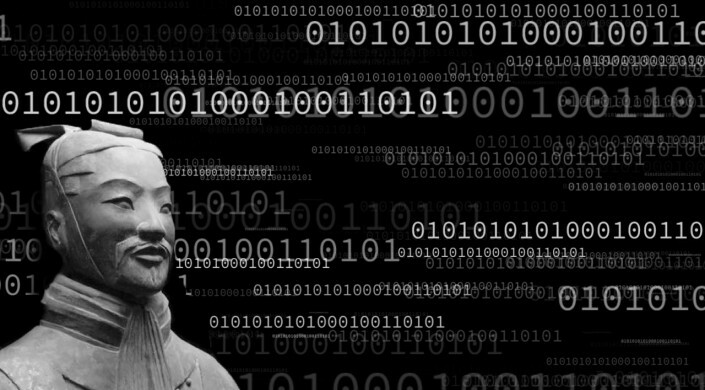 In his 5th century treatise on war, Sun Tzu famously proclaimed “If you know your enemy and you know yourself, you will be victorious in numerous battles.” Of course, Sun Tzu was fighting with swords and arrows, not keystrokes and algorithms, but the principle is just as applicable to cyber warfare as it was to ancient Chinese battlefields. Among the most vulnerable targets in cyberwarfare are deep neural networks. These deep-learning machines are vital for computer vision — including in autonomous vehicles — speech recognition, robotics and more. Some years ago, the distinguished economist Richard Baldwin said: “Regional trade liberalisation sweeps the globe like wildfire”. He was right. Preferential trade agreements (PTAs) increased from 20 in 1990 to close to 300 today, and have become a key feature of the international trade policy landscape. Every country in the world is party to at least one PTA, with Mongolia the last to join the pack when it signed a deal with Japan in 2016. But Brexit, the US withdrawal from the Trans-Pacific Partnership (TPP), and the renegotiation of the North American Free Trade Agreement (NAFTA) have been a major shock for the world trade system. The annual accounting to Congress of global threats to the United States made it sound like al-Qaida’s separate branches were managing to thrive independently of one another, said Bruce Hoffman, Cipher Brief expert and Council on Foreign Relations visiting senior fellow, in comments to The Cipher Brief. But Hoffman believes the Worldwide Threat Assessment presented to Congress Tuesday failed to acknowledge that al-Qaida is following a very careful and deliberate strategy to establish its separate branches as pillars on which to build future growth. When Secretary of State Rex Tillerson arrives in Ankara on Thursday, he will find Turkey unrecognizable as the ostensibly Muslim democracy and close ally that U.S. officials once held up as a model for the Islamic world. President Recep Tayyip Erdogan is poised to complete his long transformation of Turkey from a raucous -- if imperfect democracy -- to an autocracy, one ruled by caprice and fear. The once solid U.S.-Turkish relationship has foundered on miscalculations, grievances, and increasingly divergent worldviews. 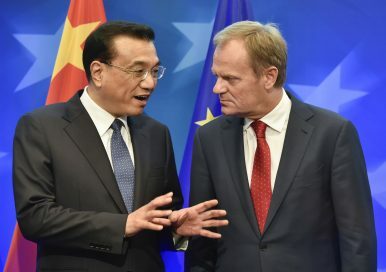 Reflecting growing concern among European political elites, the European Think-tank Network on China (ETNC) published a grim report in December detailing the scale, nature, and implications of Chinese foreign direct investment in Europe. The network, consisting of Europe’s 19 leading think tanks, revealed not only a sharp increase in Chinese FDI in numerical terms — from 1.6 billion euros ($2 billion) in 2010 to 35 billion euros ($44 billion) in 2016 — it notably managed to shed light on the qualitative side as well. For the first time in fifty years, U.S. and Russian military forces have engaged in direct combat. Soldiers from the two countries last clashed during the Vietnam War, when Soviet soldiers shot down U.S. warplanes with anti-aircraft weapons. Last week, on February 7th, the two powers met again, when U.S. drones, attack helicopters, and fighter planes struck a contingent of pro-regime fighters near Deir Ezzor, a Kurdish-held city in eastern Syria. 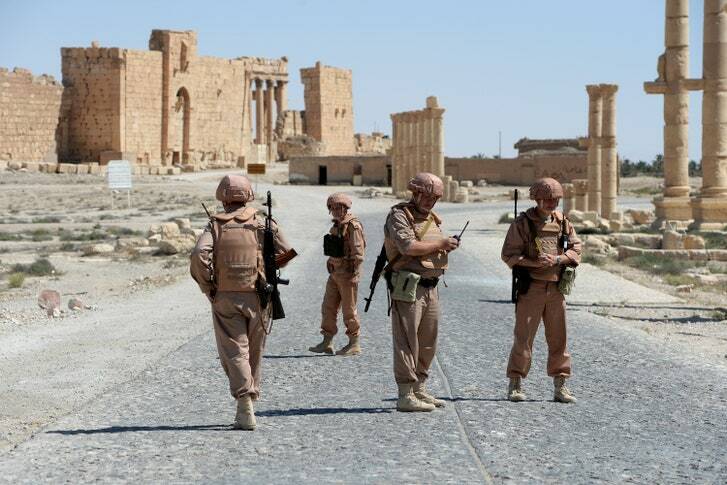 As would emerge later, among those killed were up to a hundred Russian citizens who were fighting in Syria as private military contractors, a shadowy mercenary force whose presence in Syria is not officially recognized by the Kremlin. Two weeks ago, standing on the Syria-Israel border in the Golan Heights, I wrote a column positing that this frontier was the "second most dangerous" war zone in the world - after the Korean Peninsula. I'd like to revise and amend that column. Having watched the opening ceremony of the Winter Olympics, where North and South Korean athletes marched last week into the stadium together in a love fest; and having also watched Israel shoot down an Iranian drone from Syria, bomb an Iranian base in Syria and lose one of its own F-16s to a Syrian missile; and after US jets killed a bunch of Russian "contractors" who got too close to our forces in Syria, I now think the Syria-Israel-Lebanon front is the most dangerous corner in the world. Iran and North Korea are often rhetorically linked, most famously in President George W. Bush's 2002 speech in which he labeled them part of an "axis of evil." In practice, however, they have been largely treated as separate challenges for American foreign policy. There are good reasons for this. The Islamic Republic of Iran and the Democratic People's Republic of Korea are in different regions, have different economies and political systems, and affect different sets of US allies. Analysis: It is still too early to assess Eisenkot’s performance as IDF Chief of Staff; the real test is how well the army he leads performs on the battlefield; However, it can still be said that Eisenkot is an exceptional military leader owing to the impressive amount of objectives, which he set for himself at the start of his term, which were fulfilled. In the shadow of the latest events in the north, Lieutenant General Gadi Eisenkot is completing his three year term as army Chief of Staff. However, as is often the case, Defense Minister Avigdor Lieberman extended his term an additional year. Eisenkot announced though that he will complete his service at the close of 2018, and not wait until February, 2019. China said proposed U.S. tariffs on imported steel and aluminum products are groundless and that it reserves the right to retaliate if they are imposed. The U.S. recommendations, unveiled by the Commerce Department on Friday, aren’t consistent with the facts, Wang Hejun, chief of the trade remedy and investigation bureau at China’s Ministry of Commerce, said in a statement posted on its website. Breaking into a federal network usually gets you a one-way ticket behind bars, but sometimes hacking the government ends with a paycheck instead of a prison sentence. This is the final part of a series exploring the future of Cyber Command. For previous installments, see part one and part two. As Cyber Command continues to mature, key government watchdogs want to ensure the organization does so in a responsible way. 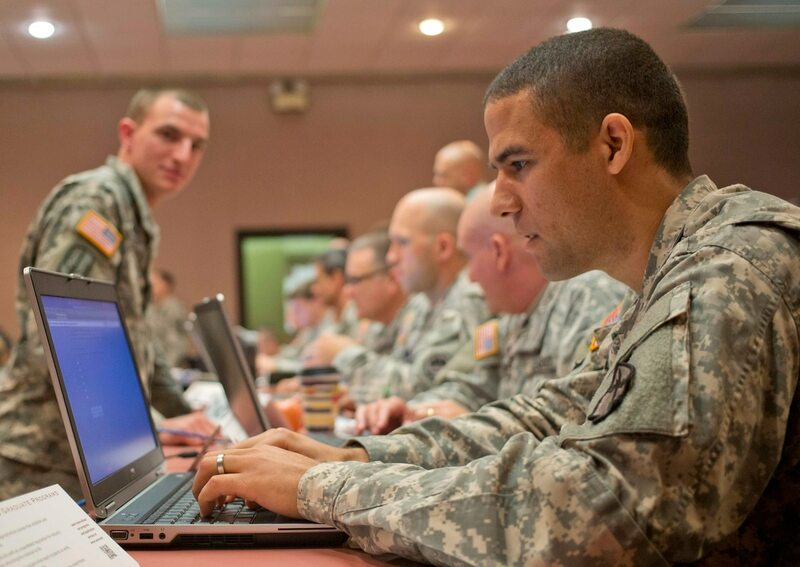 As part of this effort, the House Armed Services Emerging Threats and Capabilities subcommittee, which oversees cyber, held a classified briefing with the Government Accountability Office in mid January to “discuss ongoing reviews and studies of cyberspace and cybersecurity capabilities of the Department of Defense,” a press release from the committee said. Business Insider's Sara Silverstein spoke with Jamie Smith, CEO of the Global Blockchain Business Council, at the World Economic Forum in Davos, Switzerland. Smith is also the co-chair of the WEF's blockchain council . Following is a transcript of the video. Sara Silverstein: So tell me what is the purpose of the Global Blockchain Business Council? Jamie Smith: So the Global Blockchain Business Council is designed to specifically educate regulators on behalf of business so that they can understand what blockchain technology is and why they should care. In 2018, it is all but impossible to know whether you are reading this on a computer screen, mobile phone, or a tablet. However, chances are you are doing so in one of the 150 metropolitan areas that are home to every seventh person alive today. More than half of us have chosen to live in cities, a figure that is expected to rise to 70% by 2050. In economic terms, the results of urbanization have been nothing but impressive. Cities are accountable for 80% of global GDP. For instance, the Boston-NYC-Washington corridor together with the LA region generates more than 30% of the United States’ annual output.